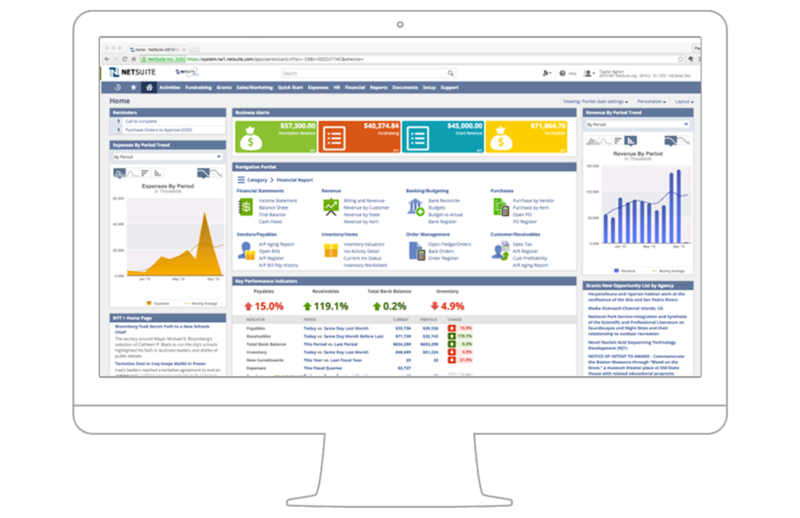 Manage your nonprofit’s operations and finances entirely with Oracle NetSuite! TechSoup Canada is thrilled to announce that Oracle NetSuite, one of the world’s leading providers of cloud-based financials, Human Resources (HR), and omnichannel commerce software suites, is now a donor partner. Oracle NetSuite Social Impact Edition is an integrated, cloud-based business management software solution for accounting, enterprise resource planning (ERP), customer relationship management (CRM), professional services automation (PSA), and e-commerce. 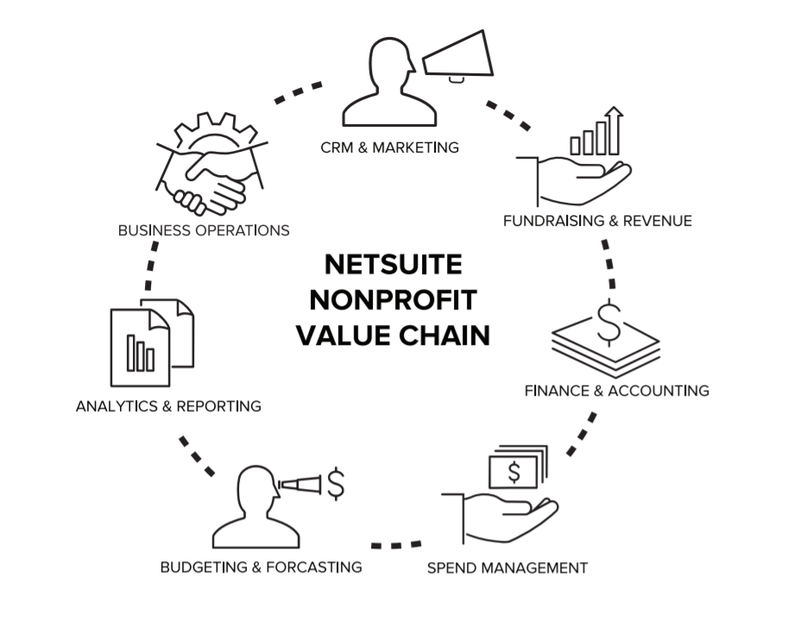 With the use of NetSuite, your nonprofit can use a single, integrated platform that combines CRM and e-commerce capabilities with back-office accounting/ ERP. It allows your nonprofit to unite fragmented data and automate processes from end to end. Your nonprofit will no longer have to re-enter data in different systems, correct inconsistent or inaccurate data, or wait for updates. Instead, employees can view and share accurate data in real time. This can lead to greater accuracy, collaboration across departments, and increased productivity for your nonprofit. How are nonprofits using OracleNetSuite Social Impact Edition? 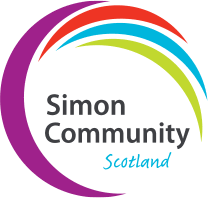 Simon Community Scotland provides social services for people experiencing homelessness. Up until 2015, the nonprofit managed information on their service users with pen, paper, and Excel. This meant labour-intensive work and fragmented data on users. Simon Community began using NetSuite CRM as a unified repository for its supported population in order to gain insights that could translate into more effective service and strategy. In one example, employees used the NetSuite CRM to centrally map “rough sleeping” locations; this helped stream teams to zero in with help in the key areas. As a result, managers are saving a half-day a week in paperwork and allocating more time to staff training and other services. Staff at a Glasgow location can quickly look up whether an individual was aided in Edinburgh city. Through the use of NetSuite, Simon Community can track health, history, and other data points, resulting in more informed actions and positive outcomes. Centralizing user data has enabled Simon Community to draw actionable insights that foster innovative programming. For example, in one insight generated in their NetSuite software, Simon Community saw for the first time that 75% of their service users smoked. This prompted new smoking cessation initiatives. As a next step, Simon Community plans to roll out the NetSuite Inventory Management to track food, clothing and other items for distribution in a warehouse. Thanks in large part to its culture of data-informed decision making, the nonprofit was awarded a Herald Scottish Digital Business Award in 2017. Prior to using NetSuite, the Foundation Center had silos of packaged and custom-built applications that were increasingly choking operational efficiency. 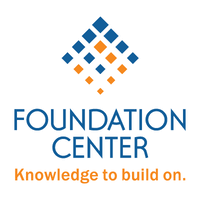 The Foundation Center replaced the numerous systems and processes with NetSuite’s unified cloud solution. The multi-phase IT modernizations effort is helping the organization manage relationships with 480 information partners in 13 countries while also devoting more time and resources to its mission. For example, the Foundation Center tapped SuiteCommerce to integrate subscriptions from the Foundation Directory online (its largest funds generator), into it online marketplace. The enhanced coordination and transparency made possible by NetSuite makes it possible for the organization to better fulfill its mission of advancing knowledge about global philanthropy. The Foundation Center expects to save over one million dollars on reduced IT infrastructure, personnel and software licensing over five years. NetSuite software has allowed this leading source of information global philanthropy to streamline everything from donor management to budgeting and forecasting. Excellent IT controls and audibility with full audit trails and system-enforced guidelines on the scope of customization. Is my organization eligible for a donation of OracleNetSuite Impact Edition? This software is available to Canadian Registered Charities registered with the Canada Revenue Agency, Canadian nonprofits incorporated either provincially or at the federal level, and Canadian public libraries with a library symbol from Library and Archives Canada. For a more detailed breakdown of eligible and ineligible organizations, check out the OracleNetSuite program details. How many donations of Oracle NetSuite Impact Edition can I request? Organizations may request one initial subscription product within the lifetime of the organization. Organizations may request one renewal subscription product per fiscal year (July 1 to June 30). Not registered with TechSoup Canada, but think you are eligible for Oracle NetSuite Social Impact Edition? The first step is to register with TechSoup Canada – it’s free and simple. Once we have processed your registration, we will let you know if you qualify for OraceNetSuite Social Impact Edition.